By the time you’re reading this, I will have had my college degree conferred, thrown the cap, and taken pictures ad nauseum. In other words, currently I’m probably napping because 7 a.m. is just too early for a college student. Now, before continuing, I would like to apologize for that opening a) if it made you feel old, b) if you thought only seasoned professionals wrote here, or c) if you just didn’t care. (A and C is a valid answer, too.) But I start that way for one reason: My baseball career is finally, officially, irrevocably over. For four years, I have maintained the dream that if I could ever just motivate myself to run again, I could walk onto my D3 baseball team as a closer and make a run to the D3 World Series. I swear it could’ve happened. It never did, but even though my time (or my potential time) on the competitive mound has finally reached it’s end, for others the long road is just starting. That’s right: This long-winded opening was just a leading into a way-too-early draft preview. I apologize for my love of college baseball and prospect-watching, but also I’m still going to inflict it upon you. I’ll try to go about this a bit differently though: Instead of a “5 Players to Watch come Early June” type post, I’ll make this post “5 College Players the Reds could take at No. 5 and we could see in 2020.” That’s at least a tiny bit more niche I hope. 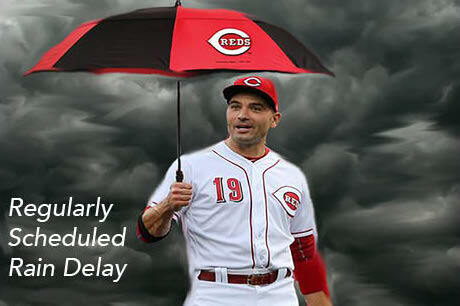 And Doug Gray took a more all-encompassing look at the Reds potentials a couple days ago. Only 82 PAs, but Alex Blandino has only swung at 12% of pitches outside the zone. League average is almost 30%. That's insane. Blandino has only swung and missed at 5% of pitches. League average is 10.6%. Contact % is sky high. Lots of evidence of a strong hit tool. …Alex Blandino is actually pretty good at this whole hitting thing. Madrigal puts the former Stanford standout to shame though, having hit .458/.514./.635 this season since returning from a broken wrist. For further Blandino context, the Reds’ utility man has hit .278/.350/.347 in 24 fewer at-bats. Madrigal likely will never hit for much power given his frame, but he’s scorching the Pac 12, which I consider to be comparable to a Class A league, so should slot in at AA to start 2019 wherever he goes. If the Reds can get Nick Senzel to play short, Madrigal could be his double play partner come 2020. It’s not often you see a top 5 projected pick coming out of South Alabama, but it’s also not often you see a freshman hitÃ‚Â .303/.431/.422 and then improve on those numbers each of the next two years. 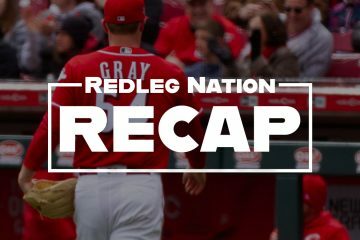 Travis Swaggerty is just what the Reds are looking for in a third outfielder for the future: Pop potential, OBP skills, and speed to cover the outfield. Also, he just has a perfect name for baseball. If you still aren’t convinced, consider that Swaggerty walks at nearly the same clip he strikes out (a Joey Votto vibe) and has bettered his OBP each year of college (again, Votto-esque). The biggest knock against him seems to be his competition Ã¢â‚¬â€ the SunBelt isn’t all that formidable after all. But when Swaggerty played for Team USA, he still hit .328/.449/.406, which isn’t something to scoff at by any means. Swaggerty would be my pick for the Reds because can you just imagine a 2020 outfield of Swaggerty, Taylor Trammell, and Jesse Winker? If anyone knows how to make a baseball cry, it’s Trevor Larnach. He strikes out a bit more than the other guys I’ve mentioned, but he walks a ton and just destroys pitches. 17 home runs in the dead bat college era and in the Pac 12? Kid has the skills to be very good every day player in this current three-true-outcome version of baseball. The only pitcher I’m including here because pitchers generally take more than a year to progress regardless of college production, Gilbert has distinguished himself as someone who might just pull a Mike Leake. 6’6″ and 225 pounds, Gilbert will hit mid-90s with his fastball, which Ã¢â‚¬â€ by the way Ã¢â‚¬â€ has two-seam movement. What makes him a quick to the Bigs pitcher though is that he already has three developed secondary pitches, projecting him as a starter long term. In his entire college career, Gilbert has only recorded two losses, but if that doesn’t convince you of his prowess because team stat and all that, he’s also posted a 2.31 ERA over 231.1 college innings. His control has also improved year over year, with his BB/9 falling from 4.92 to 2.63 to 1.94 this year. Singer and Mize might have ace potential, but don’t count out Gilbert beating them to the top. I have to admit, I mostly love Walker for his name. He’s projected to go in the compensation round by Fangraphs and is easily the 10th best outfield prospect in this draft class, but Walker is another guy like Swaggerty who has put up better numbers every year, has plus power potential, and walks nearly as much as he strikes out. Unlike Swaggerty though, Walker’s swing is quick, compact, and replicable. Whereas Swaggerty sometimes falls off balance in the batter’s box, Walker stays steady, channeling the aggression in his swing to the ball. Also, Walker has done all his damage in the Big 12, a league that inspires far more confidence than the SunBelt. Since I last updated you all on my fantasy team, the Kangaroo Court Fees have *ahem* ACTUALLY WON A GAME. I DON’T KNOW HOW THEY DID IT. IT’S HONESTLY A BIT OF A MIRACLE. Okay, now that that’s out of the way, I will promptly bury in the middle of this sentence the fact that they lost the next week and are on pace to lose again but the win is super exciting right? Regardless, Nomar Mazara and Shohei Ohtani have been my team’s bright spots this year, and I’m still looking to unload Brandon Belt before he returns to his true giraffe-form. If nothing else though, there is always the sweet sight of Matt Wilkes pulling the No. 6 position just behind yours truly. It’s a long road to the end, but these are the laurels we can rest on for just a moment. Interesting info. One would hope the Reds take a college player in the 1st round. This so-called rebuild has not shown promise. Congrats on the diploma! I wish I could write like Wes does. Alas… I think my potential for a career in writing has likely ended much like your potential career as a D3 pitcher. Thanks for putting this together… Swaggerty sounds like a nice option out of this bunch. Nice, entertaining write-up. Congrats on the diploma. Didn’t Sam Ervin play at South Alabama? I’m wrong in two ways. It’s Phil Ervin and he went to Samford. Subconsciously you crushed it. Samford (Sam) and you got Ervin right (didn’t call him Erwin). Unless you’re 150% certain Madrigal is the next Pedroia or Altuve, you have to pass on a 2B that high in the draft. Just too easy to convert a SS….and we also have more 2B options than playing time as it is. That said, the idea of Senzel at SS and Madrigal at 2B is intriguing, but just barely more than Senzel and Blandino/Dilson/Shed. Your emphasis on K/BB ratio can’t be understated. Yes I agree with you. Madrigal/Senzal is an interesting DP combo but, big questions about Senzel being able to play SS, as the Reds don’t think he can. Then you have Madrigal who isn’t an MLB SS either. Unless he is unbelievably special as a hitter, the Reds really can’t take him. So, once again: Why not move Suarez back to SS and let Senzel play his natural 3B position? Then the best middle infielder remaining in the organization gets 2B. Seems to easy, doesn’t it? I could get on board with this if Suarez wants to do it. That said, it would be a bit of an experiment because Suarez has gotten a little bigger and isn’t quite as mobile laterally as he was when he played SS before. He also was a bad SS. Yes, I know he was a bad 3B when he started there and he turned it around (way around) but he’d never really played 3B. SS/2B were positions he played regularly and he was bad at SS (average at 2B). Now, with his work ethic he may well be able to improve his defense at SS. If he’s willing to try, I’d try it, leaving 3B open for Senzel. We also need to have an idea of what to do if it turns out Suarez just can’t be a good SS. I have been preaching this for some time now.Senzel is a very good third baseman. (Maybe not as good as Suarez but still above average).Suarez has the arm and range for SS. Blandino,Long,Dixon,or Dilson Herrera win the job. I am tired of hearing about Mize and Singer too. They will both probably hurt their arms anyway with the Reds luck . Give me a college bat that will make the big leagues in short order and lets just mash .. BTW I never considered myself GM material <gg? Excellent and very plain article for an older non-stats guy like I tend to be. It reinforces the general theme of “take the best player available and figure it out from there” principle that includes some planning for what “best” looks like to our Reds organization. Really makes me miss having a Reds minor league team around here. 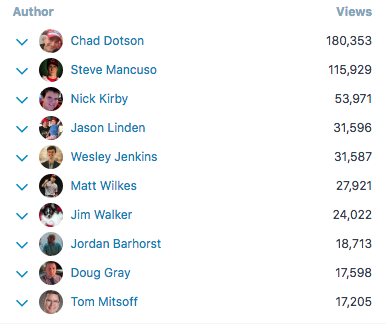 No Bohm on the list? If he falls to the Reds heÃ¢â‚¬â„¢s certainly worth entertaining at this spot. If weÃ¢â‚¬â„¢re talking college guys I like Mize, Madrigal, Bohm, Singer, Swaggerty, and India in that order. One will be available for the Reds. A couple of prep guys that make sense at 5 but the Reds may want to go for more of a surer, closer pick. Trevor Larnach is a name you will hear a bunch about in the next 2 1/2 weeks. Just might rise to #5. Plate discipline, very big bat, good defense and great arm in RF. He would have more RBI’s than the 62 he has now if Madrigal hadn’t been hurt for so long. Thanks for responding and explaining your reasoning. I too think he won’t be there by #5, but I don’t think Madrigal will be either, unfortunately. My understanding from the articles I’ve read, is that the top 3 college bats are Bohm, Madrigal, and Swaggerty and that order depends on team preference. If all three teams (2-4) decide to take hitters, the Reds probably go with Singer or a prep arm. If two take hitters and Singer goes top 4, it may come down to which team took a pitcher and how the other two teams ranked those three hitters on their draft board. I subscribe to best available approach, so if Bohm were there and Madrigal and Mize were off the board, I would take him regardless of future fit/position. Positions tend to work themselves out eventually and you want to take the best talent you can. 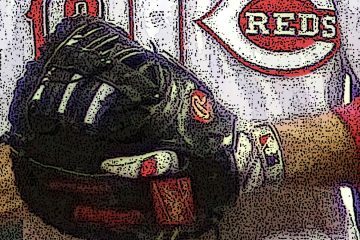 If Reds go OF, what becomes of Stuart Fairchild? He seems to be a very promising prospect. I’d file under “there’s no such thing as having too much talent” collected. So, so, many variables to getting a prospect all the way to the big club. I really hope the Reds don’t draft more second basemen and more corner outfielders. They already have logjams there and seem incredibly unlikely to move Scooter/Billy/Duvall to make room for what they already have. I’m almost to the point where I’d like to see them draft nothing but SS/CF/Starting pitchers and then let them all figure it out from there. I, for one, donÃ¢â‚¬â„¢t believe in drafting for need in baseball. I would take the organizational leadership theory of Ã¢â‚¬Å“loading the bus with as many talented people as possible, and then figure out who does what.Ã¢â‚¬Â I read a book about it once. Anyway, get the absolute best baseball player you can, the rest will work it self out. If thatÃ¢â‚¬â„¢s Madrigal, per your scouts, then you take him! Good call, Steamer88, especially if loading the bus involves position players. Tanking is much discussed now, and a bad look, so the next CBA is likely to involve more spending by the Reds, either via a salary floor or further revenue sharing. The team can go buy proven pitching on the free agent market and develop their cornerstone hitters, like the Cubs and Astros did to get over the top. 1) Start now with a side hustle that makes money. Never depend on one employer for all of your income. The old employment model is dead and not coming back. 2) The next 10-15 years are going to be the most rapidly changing the world has ever seen. Rise of China, AI/robotics/blockchain, life extension…lots of disruption and job loss. Embrace it, roll with it and you will be in good shape when the new world is finally shaped around 2030 or so. 3 Related to 2…figure out which companies/industries are going to be dominant in 20-30 years, invest in them now and just wait. I know a guy who came into an inheritance upon graduation, put it into Johnson & Johnson stock, reinvested dividends and left it alone. He is already retired, living off the dividend checks he gets every 3 months. I have set up a stock portfolio for my young nieces and nephews with my guesses on winners. Travis actually has more strike outs this year than Trevor. Trevor has more HR’s as well, and hits in Oregon, where games in April are not the same as games in South Alabama. Trevor has more HR’s than Mike Conforto ever had in a season at OSU and is a better overall hitter at 346/469/698 this year. Yes indeed. I posted this above but it should go here. Trevor Larnach is a name you will hear a bunch about in the next 2 1/2 weeks. Just might rise to #5. Plate discipline, very big bat, good defense and great arm in RF. He would have more RBIÃ¢â‚¬â„¢s than the 62 he has now if Madrigal hadnÃ¢â‚¬â„¢t been hurt for so long. Larnach kind of looks like a combination of Jay Bruce and Paul O’Neill. I’d take that at #5. Larnach is really a guy I just keep falling in love with. I think Swaggerty may have a higher ceiling but boy could Larnach be good. Totally agree!! I was watching Madrigal and saw Larnach.I was really impressed. Ball sounds like a gun shot coming off his bat. Seems to be a polished hitter and fielder.